Yael Zofi's research, book, AIM website and blog provided me a wealth of information on effective..
Yael is a consummate professional, and brings a trove of experience and knowledge on working with.. I referred to book of Yael "A Managers guide to Virtual team" during my MBA days for International..
Yael is very adept at energizing a group of people, at the end of a full day of meetings, and.. I recently had the opportunity to attend the 'Work Your Network, Making Impactful Business.. 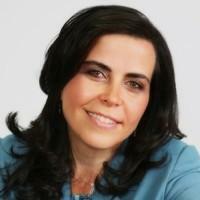 I had the opportunity to meet Yael Zofi at the monthly Career Development meeting sponsored by the.. I had the opportunity to attend one of Yael's workshops on virtual teams at the annual OD Network..
Yael has an objective style of delivery, Here communication is very clear - she touches on the..
Yael was assigned to support my 360 deg review session. She did a great job breaking the result down..
Yael Zofi is one of, if not the best, folks in the business. She brings years of expertise and..
Yael Zofi is a Facilitator, Trainer, Coach, Professor, Author, and CEO of AIM Strategies®, a human capital consulting firm focused on developing global leaders managing virtual teams and facilitating cross cultural communications. With 20+ years of consulting experience, Yael has applied behavioral science techniques and has helped countless leaders and teams focus on transformational initiatives that improve bottom line and enable stronger human connection in the virtual workplace. Her latest book, A Manager’s Guide to Virtual Teams, offers a practical road map for bridging the logistical, cultural, and communication gaps that can prevent any virtual team from reaching its full potential. Throughout her career, Ms. Zofi worked with clients in the high-tech, financial services, pharmaceutical, healthcare, electronics and media industries as well as non-profits and educational institutions. Her organizational development (OD) work focuses on helping leaders and teams become more successful through strategic alignment and guided change management. She created assessment tools, facilitated global strategy retreats, designed talent management programs and lead merger integrations with 6 organizations. Ms. Zofi also implemented process improvement, talent retention and performance management programs across three continents. Prior to forming AIM®, Ms. Zofi was Senior Vice President of Performance Management, Leadership and OD with J.P. Morgan, in charge of design and implementation of global training for 16,000+ employees. She facilitated many global transformation initiatives, including working with senior management to implement team strategies aligned with new business directions, technologies and policies. She worked in Asia (Japan, Hong Kong, Singapore, Australia), Latin America (Argentina, Brazil, Mexico) and Europe (UK, France, Germany, Austria, Belgium, and the Eastern Block). Prior to Morgan, she spent several years with Accenture (Change Management) and PwC (Merger Integration) working on business process and leadership development assignments. Ms. Zofi has been a guest speaker at conferences and professional organizations. She has published several white papers on global leadership and cross cultural communications, and virtual teams, Bringing Reality to Your Virtual Team. She has been featured in Forbes, CIO Digest, CNBC, Business Week, Watch IT TV, Harvard Business Review Expert Series, Mindtools, and bloomberg, among others. Client engagements typically involve human capital consulting, training and coaching consisting of setting up virtual (remote and onsite) teams and coaching / training leaders to improve team performance. Typical engagements include evaluation, interviews, assessment (e.g., 360-degree feedback, individual and team questionnaires, leadership surveys), leadership transition coaching and facilitation. Yael Zofi is one of, if not the best, folks in the business. She brings years of expertise and really teaches you on the finer points of managing. She is so very nice and share personal stories which really makes you feel comfortable sharing your own and working through problems. Many of my classmates also mentioned how terrific Yael and the class was. I would definitely recommend this class to my colleagues, especially if they can sit in with Yael. Yael was assigned to support my 360 deg review session. She did a great job breaking the result down and giving some insightful tips based on the results. The session was very interactive and interesting, she clearly knows her subject matter. Thanks for the support. Yael has an objective style of delivery, Here communication is very clear - she touches on the emotional dimension of management which is some times overlooked. It was a joy to attend Yale session. She provided clear direction, removed roadblocks and enabled the attendees to focus and internalize the key concepts on the topic. She has built-in exercises in her sessions to assure that the teams have processed the information well. She is well prepared on the material that she presents, and has a team covering and supporting her in the event very well. I had the opportunity to attend one of Yael's workshops on virtual teams at the annual OD Network conference in Philadelphia, 2014. Yael facilitated an entertaining, informative, and highly experiential workshop that expanded attendees' knowledge of a critical and increasingly common dilemma faced by leadership today: how do we energize, support and collaborate within virtual teams? Yael combined several handouts, interactive discussion, and different media platforms to keep us engaged, all during an ever-challenging late afternoon slot. I felt a renewed sense of curiosity and enthusiasm after the presentation, and was able to share some of what I learned with both my class and peers within my organization after returning back to Maine. Yael is a great mentor within this field, and I look forward to working with her more in the future. I had the opportunity to meet Yael Zofi at the monthly Career Development meeting sponsored by the New York City Chapter of the Project Management Institute. Yael delivered an excellent presentation on Professional Networking, and brought some very interesting perspectives on interpersonal relations and how we can make them most effective in the business environment. Yael's presentation was organized, well-presented and included a number of meaningful exercises. Yael clearly demonstrated a deep understanding of the topic, and I'm sure her services would be of great value to business organizations. I recently had the opportunity to attend the 'Work Your Network, Making Impactful Business Connections' event which was presented by Ms. Zofi. She kept everyone focused and fully engaged in original, interactive and fun exercises where we learned about different networking behaviors and effective techniques which is meaningful in today's complex global environment. I would highly recommend her services and look forward in attending future sessions. Yael is very adept at energizing a group of people, at the end of a full day of meetings, and helping them consider ways of creating greater value with their teams. The discussions highlighted that while there are terrific tools, which help bridge communications across virtual teams, engaging with colleagues in an authentic and clear purpose remains at the core of communications. I referred to book of Yael "A Managers guide to Virtual team" during my MBA days for International Management course. Some of the tips I do apply today at my work as well. Though the book is written for virtual team management, I believe all those concepts can still be applicable for teams on ground , considering Communication and understanding Cultural norms are key for project success or bringing organizational change. I wish Yael Best wishes for her future writings! Yael is a consummate professional, and brings a trove of experience and knowledge on working with global virtual teams. She is great in facilitating productive and dynamic discussions. I enjoy working with her. Yael Zofi's research, book, AIM website and blog provided me a wealth of information on effective leadership and communication strategies for virtual teams needed in today's competitive global environment. To finish my last final project on " Global Virtual Teams strategies in a flat world, to fulfill my master degree in communications, I used her knowledge to help better understand key concepts and practices of successful virtual teams. I would recommend any student who would like to gain real knowledge on this growing trend in the global work force, to reach out to Yael and read her work on the subject. Based on her knowledge and work, I would also recommend organizations use her expertise.